Salted Turkish Pistachios: Pistachios, Salt. As always, a product with excellent taste and superior appearance. They have been my wife's favorites for years. These were very good. Fresh. And decently salted. I have ordered many brands of Turkish pistachios and these I rate very good. These were very delicious. I've tried Antep's from other sources and have not been as pleased. Superior Nut Company's pistachios were fresh and had, if I'm not mistaken, an expiration date on the plastic bag. I'm kind of a "nut" about my pistachios. I like pistachios with a little more salt than normally comes with any brand. When I purchase a bag, I first de-shell the entire 1 lb. bag with a small paring knife. (I hate the sore fingernails I get opening them by hand- and if you play guitar you know what I mean!). I put the shelled nuts in a small bowl and add 1 teaspoon peanut and toss them by hand to evenly and slightly coat the nuts. I sometimes need to dry them a little with a paper towel if they're more than slightly coated. I then sprinkle on some additional salt- I like sea salt you buy at the supermarket in small shaker type containers. I spread the nuts on baking sheet and put them under the oven broiler for about 2 minutes max. I don't even shut the oven door during the process. You don't want to scorch the nuts. I toss them with a wooden spoon at about the 1 minute mark. They smell SO good coming out of the oven, but my preference is not to eat them warm, but to wait until they cool completely. Doing them in the oven this way they will be a little less crunchy than fresh shelled- but still a very good texture in my opinion. Yeah it's extra work, and I usually eat the entire batch it one sitting, but I guess the extra salt is worth it to me. I've tried a couple other methods- sprinkling the nuts with salt- with and without oil, and not using the oven. But the oven method is my personal preference. Of course it would be better if nut companies like Superior would offer Anteps shelled and roasted with a little extra salt. Don't know the roasting processed using by the nut companies- maybe they can control the sodium content and offer the consumers their choice of regular or extra salted. In the meantime, I'll add my own salt. ProsVery fresh and true anteps. ConsCould be a little saltier for me. They're more costly than the California pistachios you find in the grocery, but then again these Anteps from Superior are premium and worth the extra price. But maybe a sale, coupon, or free shipping occasionally would be nice. Nothing can match the flavor. Best pistachios ever. You'll never want California pistachios after having these. 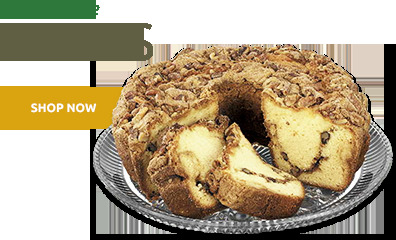 Superior Nut Company has GREAT products! 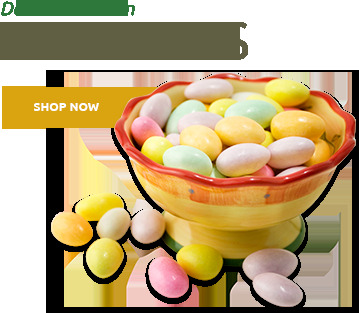 After the best Jordan Almonds i received for my daughter's wedding in October, I simply had to place a holiday order. I ordered the Turkish Pistachios (along with a few other products) to put out during the holidays - they were enjoyed! I went with the Turkish ones after reading great reviews; this was our first time trying them.....Yes, I agree, they were delicious! Expected larger pistachios like ones we had in Turkey. Plus, these are scorched. My husband is peeling not only the hulls but the skins as well. Not likely to purchase these again. I love Turkish pistachios. They are hard to find, but Thanks to Superior I found them. Yes, they're pricy, but a nice holiday treat. A small but very tasty treat, quite different from the typical local grocers pistachios. ProsPackaging is great for product freshness. This is what a real pistachio is supposed to taste like. I like California pistachios but there is a big difference in taste, especially in cooking. If you want an authentic tasting pistachio, this is it. Just can't stop eating them once you start..Very good flavor will recommend to friends. I just wanted to try this new pistachio and I loved it. I have ordered from Superior before and have always been pleased with the items received. I love Turkish Antep Pistachios and they are hard to find. I have ordered them from another company and gotten Siirt Pistachios, which are completely different. Yours were exactly what I ordered and delicious. Thank you. If you like pistachios; this is one product you shouldn't miss experiencing. Excellent product and service. Very satisfied with both. They do not get any better than this. I lived in Turkey before and fell in love with Turkish pistachios. I found it is really hit or miss to find them fresh while buying online. But I tried this company and tried them and I was very happy with them. First I purchased 2 pounds and now that I know they have fresh ones, I will buy 5 pounds next time! These pistachios are just like the ones I had when I was a kid.. Been looking all over for them. Quick delivery and nice and fresh! I've been missing Turkish pistachios for almost 2 years. I used to be able to get them from the mall. I finally gave up and found Superior Nuts. Thank goodness. I started with 3 lbs and I reluctantly shared them. I'm going to make my next order now. Won't be wasting my time with California pistachios anymore. These are a must have if you want pistachios. been nice to have free shipping. ProsThe taste, and the texture. ConsThe price and the shipping. Back in stock just in time for Christmas! 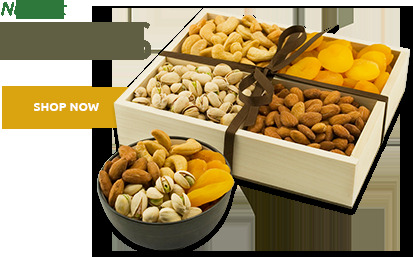 I have ordered the pistachios on several occasions and they are always fresh. 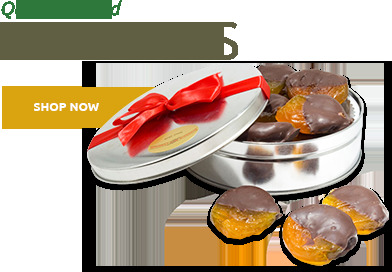 A delicious treat for yourself or gift giving. Best pistachios around! Love them! These nuts were fresh and tasty. I really like that they were lightly salted. These nuts are an excellent value to the true pistachio lover. Prosfreshness, sealable packaging, and low sodium. These are the only pistachios to eat, far tastier than California Pistachios. The ones I ordered from Superior Nut Store arrived promptly and tasted great. ConsWish they were somewhat less expensive. These are the best antep pistachios I've tried. ProsSaltier than others. Greener than others. In other words, not over roasted. ConsNot all are open, and therefore hard to crack. I bought 2lbs and they are awesome! Taste like the pistachios I used to get as a kid! Super fast delivery and very fresh! Will tell everyone about you and will most certainly be ordering again! Turkish Antep Pistachios are the BEST! Turkish Antep Pistachios are the only type I will purchase because nothing else comes colse. ProsThe best Pistachios on earth! Fresh and delicious. Once you start eating them you can't stop! Good in taste difficult to open. Great product, shipping could be a little cheaper but what can you do. ProsTaste, speed of delivery , packaging . These pistachios had a creamy taste that was delightful. I will order this again. The nut itself was quite a bit smaller than other pistachios but I like that because I ate less and enjoyed them just as much as the larger ones. They were perfectly salted. ProsLove the flavor and the amount of salt. ConsA little hard to crack some of them. I am a big fan of the Turkish pistachios and have ordered from Zenobia a few times. But Zenobia's prices have just gone up way too high. I stumbled upon Superior Nuts and am vey pleased with their pricing, service and quality. I'll be back! excellent product quality. Service and delivery equally good. These things are the best! Yummy! I was very surprise how great these nuts tasted I will be buying from this company from now on. Use to but from nuts online but there nuts are not near as tasty. These Turkish pistachios are so good I remembered them fondly from 2005 when I bought a bag and then sat and looked at the Pantheon in Rome for the first time. I was afraid Superior's nuts would disappoint -- but they certainly did not. Unforgettable flavor. I've always loved this style of pistachios. Always Super fast shipping and a great product. However this time, the pistachios didn't have alot of flavor. But I will buy again! ConsDidn't have alot of flavor this time - disappointed a little on that fact. The Anteps are the tastiest pistachios I have ever eaten. Very few inopenable nuts (less that 2 or 3 pct, I'd guess). A little pricey, but far superior to the California giants. Conswould that they were bigger! Excellent experience all around. Rapid delivery, great product. Exemplary. Not your average pistachio nut. Even better!! We'll get these again. I was very happy with my purchase... the pistachios were fresh and very tasty.... shipping was very fast also.. Anyone who has had pistachios imported from Turkey such as Zenobias will not be disappointed by these Antep Pistachios.The flavor is much stronger than any pistachios grown in the U.S.
ProsJust the right amount of salt.Roasted just right.The resealable bag is very convenient. ConsThe nation of Turkey is too far from Maine to get these as often as I'd like. These are much smaller than California pistachios and have a different flavor, texture and shell. I had never had these particular pistachios before and would gladly put them on my order again the next time. The pistachios are like the ones I had as a child. I guess stores don't want to sell them and prefer to sell California ones. Yes, the ones from California are bigger but don't have the taste of the Turkish ones. I really enjoyed the texture and flavor of this variety of pistachio. Obviously a little smaller in size but well worth the purchase. For the true pistachio aficionado! LOVE THESE! Warning: Once you try Turkish Antep pistachios, you will never be satisfied by California pistachios! ProsSooooo much more flavorful than California pistachios. ConsA bit harder to open than CA, but worth the work! These were all VERY good and fresh and I will order more and stick with this company. They were also ver courteous and prompt with order and delivery. Packing was done well too. ProsThe size, quality and flavor was top knotch. This was my first taste of Anteps, so I have nothing to compare them to, but they were tasty and seemed to be of a consistently high quality. Compared to standard Kerman pistachios (the variety commonly grown in U.S.) they are small, difficult to open, and have a crunchier texture and significantly different flavor. I probably prefer these, but its not so much that they're better, just different. ProsWonderful flavor that is much different than most pistachios. ConsThese things are tiny--about half the size of your avg. pistachio--and somewhat more difficult to shell. Ordering was a breeze, delivery prompt - the nuts were delicious. I did find there was a sutble taste difference from the Zenobia (granted yours are much less expensive because you can buy them in smaller lots) . The taste was a little less robust and the nuts less salty. I will consider buying your brand again. I have already recommened this brand to friends. These remind me of the pistachios I had as a kid. I have my whole family hooked. I never even consider buying Ca nuts!! These have such a yummy flavor!!! ConsWaiting for them to get here!!! Although generally shipping and delivery is Fast!!! This is my second re-order of this delicious product , as I decided this time to give some 1 lb bags as gifts and leave-behinds for Christmas .The shipment arrived as promised - I especially enjoyed working with Steve in the CS dept - he was very helpful .These are absolutely another do over soon ! ProsI was able to purchase 5 1lb bags for @ the same price as a 5 lb bulk bag , which made it convenient to gift the 1lb bags. . These are a unique product , and I do not have feedback yet from my "gifts" as some will not be opened until Christmas or after. These are the ones you want ! 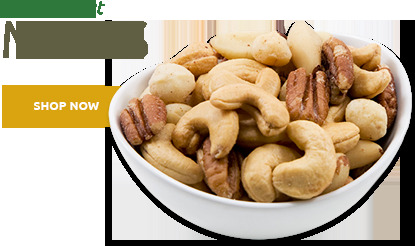 With prices for domestic nuts rising so much recently , there is not much of a price delta anymore anyway. They are absolutely delicious, wish I could afford 50 lbs of them..hahaha..delivery was good too.. easy to order online..will definately order from you again..thank you! The Superior Nut Store's Turkish Pistachio's are truely a superior value. You will not be disapointed in the quality either. ProsThe taste. It is far better than the California pistachios. ConsThere is nothing to dislike. Greatest flavor. A bit pricey, but worth it!! ProsThe distinct flavor; packaging in lb. bags. ConsThe price of product; shipping. Also, there have been more unopened nuts than usual; they are almost impossible to open, otherwise. they are always great. my only issue is they are very expensive just two 1 pound bags end up costing $30. i know they are imported but for repeat customers like myself there should be something better than 10% off my next purchase. maybe every 6th bag should be a free one. in this economy they may be too much of a luxury at present pricing. I was delighted with my purchase and enjoyed eating it even more. these are the best pistachio nuts. remind me of the ones I had when I was a kid (only those got red dye all over your hands). First time ordering these nuts from this company, and they tasted great! Just as I expected. The Turkish nuts are hard to find in retail outlets. They are much tastier than other Pistachio nuts. I'm glad that they can be mail ordered. Great Price--Great Product-- Great Service ! Best price -- Great Quality-- Tasty ! ProsThey are fresh nuts and quick delivery. I am very pleased with my purchase. The pistachios were terrific. ProsI like the ease this order was handled. And I love the pistachios. ConsThey a bit expensive: fantastic quality. ConsHard to stop eating them! Turkish pistachios are the best you can buy. Everybody knows Turkish pistachios are the best, but not every company that sells them on the Internet ships fresh ones. I have had stale pistachios delivered before when I purchased them from other websites.The pistachios I bought from Superior Nut Company were fresh. I will continue to buy from you guys. Thanks. Unfortunatly the Turkish Pistachios I recieved were over roasted and tasteless except for the burnt taste. I called and reported this and was given several options. I chose to return them for refund. They paid for the return postage and Fedex showed up the next day. The nuts were recieved back by them over a week ago and I still don't have a credit on my credit card. Of course, I'll never get back the original shipping cost. I will not order from Superior Nut again. I'll never eat another California Pistachio again. These pistachios are fantastic. Less salty and somewhat smaller than Turkish Anteps I have purchased elsewhere but they have a wonderful flavor and color. I love it when I get a nut with emerald green meat! The best of the best! A great, fresh, quality pistachio which I thought I would never see the likes of again at this price. After the local supply of Turkish pistachios disappeared five years ago, I tried searching on the internet, but the prices were astronomically high. I looked again recently and that's when I found out about the Superior Nut Store. Three 1 lb bags ordered immediately. Shipment was fast, and the pistachios tasted exactly like the ones I used to enjoy. A great product, no duds in the bag, superb flavor. Turkish Antep Pistachios are simply the BEST! They have almost nothing to do with California and Hawaiian pistacios... those huge white blaaa nuts. Turkish are small but easy to open.. a skin that is a perfectly salted complement to the nut.The nuts are sooo sweet... better than the finest milk chocolate. My wife got these here, online, since they are very hard to find in stores today... and they were heaven! MORE PLEASE!! If you've never had Turkish pistachios before, you are in for a treat. Taste like the pistachios of my childhood, before the embargo on pistachios from Iran. These are very good, nice and fresh. 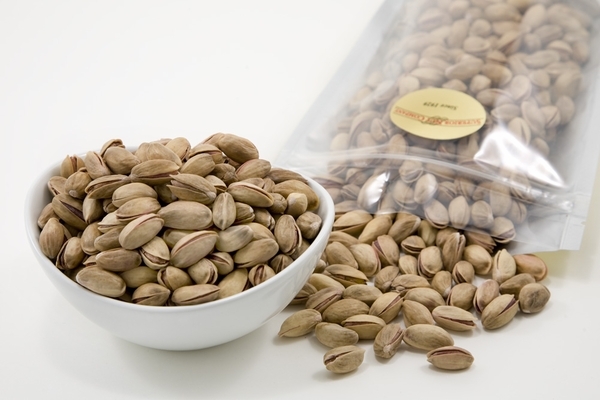 Very fresh, crisp, great tasting Antep Pistachios. Super fast shipping. I am a customer for life. Every batch is slightly different......I think this was the best yet! Yummy!!!!!!!!!!!!!!!! I haven't had them in years. Brings back memories from when I was a kid. I ordered a bag for each of my syblings and my parents. They all think I am a miracle worker. Eveyone enjoyed and I will be ordering many times through out the year!!!!!!!!!!! These nuts are good, but I have had better more tasty ones from another seller, but this is the best price for these nuts. I would buy more often if the pric was lower or there was free shipping. I normally buy 5 - 8 pounds at a time. ProsStill the best tasting of all pistachios, Makes california nuts pale in comparison. ConsShipping too high, nuts could be more flavorfull, although these are still good. Christmas stocking stuffer for my husband who loves this product.He wiill not eat California pistachios. ConsNeeded to puchase 3# in order to get discount. Prosvery good tasty, and easy to open and close bag. No comparison to the California nuts..... simply delicios! I bought these as a birthday gift for my husband. We lived in Europe several years ago and would visit Turkey alot. He always ate the pistachios from the street vendors. He has been disappointed in the Ca. pistachios for years now. ALways saying nothing is like those Turkish nuts. Well, he smelled these and said oh yeah, these are the ones. So, far, he has eaten them every night so I am sure we will be ordering more. Thank you for providing a great surprise..
ProsFew unopened. Not overly salty. Crunchy. I used to be able to find Zenobia'a at CVS many years ago but haven't seen them for years. I had been tired of the California pistachios as they are now where as good as the middle eastern ones. So after doing a Google search for Zenobia the Turkish Antep's on Superiornutstore.com came up. What a find, they are exactly like the ones I remember my Dad buying. Crisp, small and flavorful. The pistachio nuts were excellent! I had a hard time controlling my family from eating them. I am definitely buying them again. Fresh, creamy taste. Salted just right. All partially opened for easy fingerwork. Uniform in size. Nuts are excellent. Delivery was as promised and I am satisfied with the purchase. Buyers should know that nuts are on the small side. Merchant Response:Turkish Pistachios are smaller in size than the California variety.